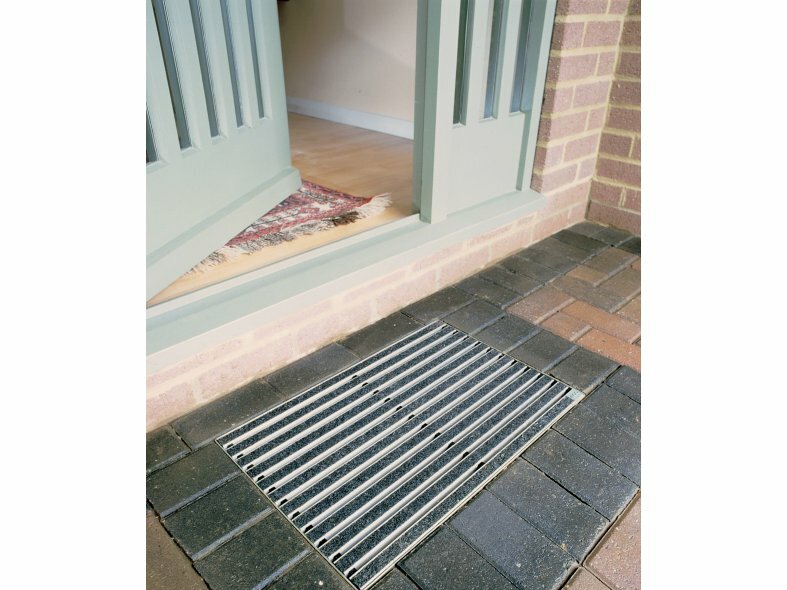 ACO DrainMat combines the safety and convenience of traditional matwells whilst eliminating the risk of water accumulating at house entrances. The DrainMat system is compliant with Part M of Building Regulations for England and Wales and also section 4 of the Scottish Building Standards. 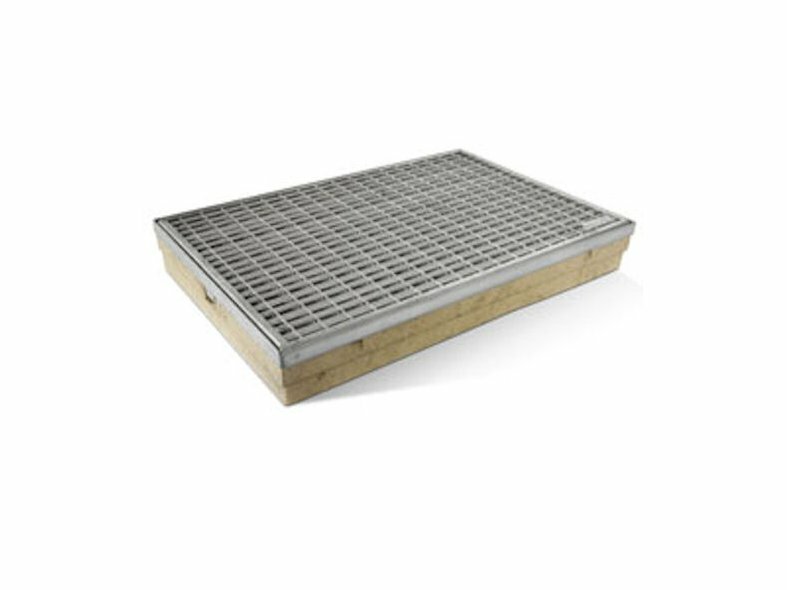 The standard assembly of ACO DrainMat consists of a tough base and the choice of 4 different mat styles - black rubber, anthracite carpet, light grey carpet or galvanised steel mesh. The base is available in polymer concrete in three sizes or polypropylene in one size. Slim galvanised steel edging unobtrusively holds the grating of your choice in place, allowing ACO DrainMat to fit with slabs, block paving or even gravel.